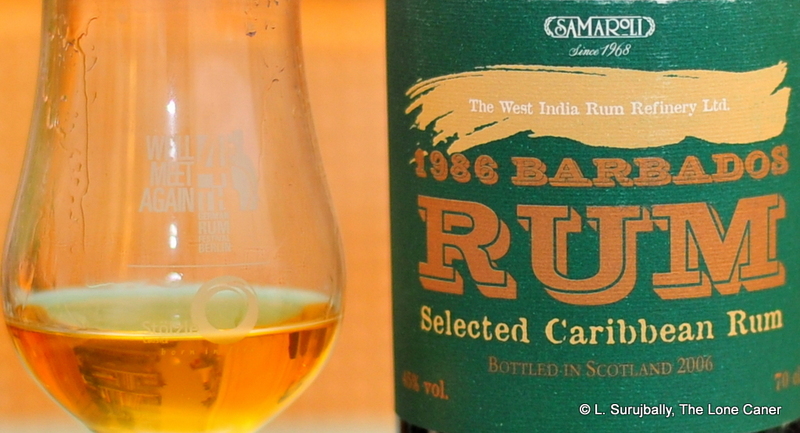 A Bajan rum you’re unlikely to either forget, or get much more of, in the years to come. 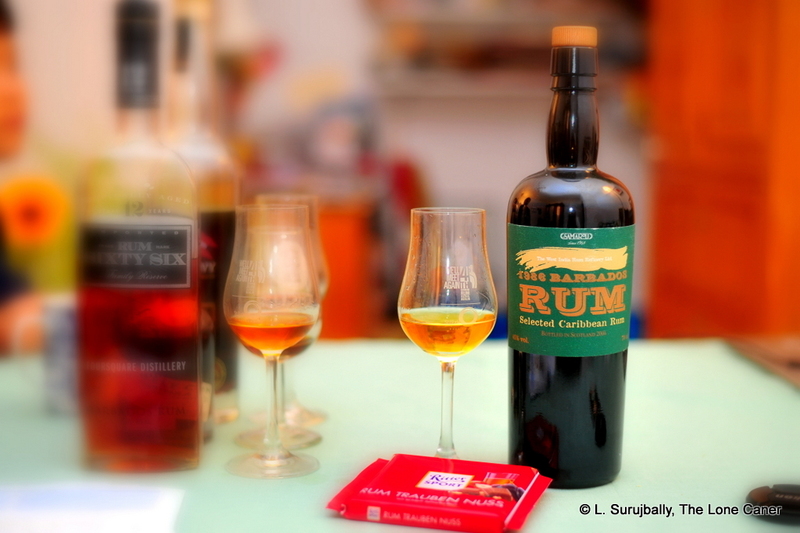 It’s among the most original rums from Barbados I’ve ever tried, even if it doesn’t quite come up to snuff taken as a whole. I wish I could find more Samarolis from the early days. There aren’t enough from that maker in the world, and like most craft bottlers, their wares go up in price with every passing year. 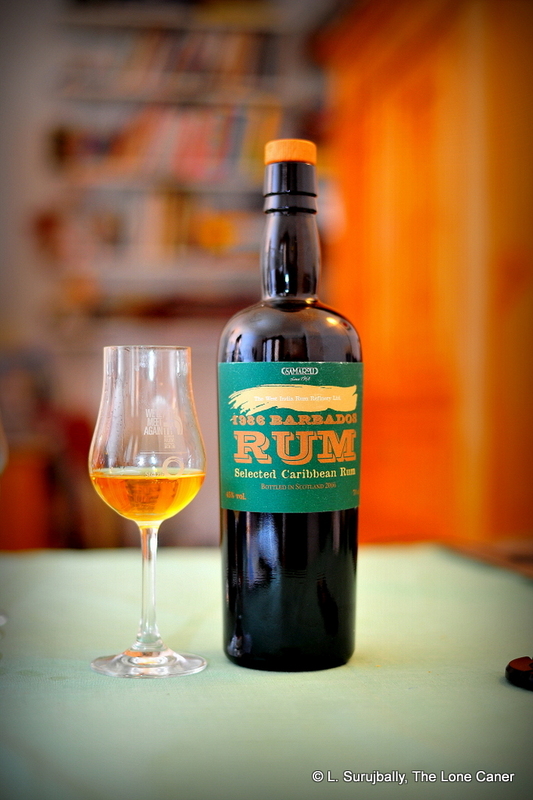 I was lucky enough to buy this remarkable Bajan rum online, and for a twenty year old rum from one of the non-standard distilleries it held its own very nicely indeed against others from the small island. Samaroli only issued 348 bottles of this 45% rum, and went with distillate sourced from the West India Rum Refinery Ltd (which since the mid 1990s is known as the West Indies Rum Distillery, or WIRD, and owned by Goddard Enterprises from Barbados – in 2017 it was sold to Maison Ferrand). When there were dozens of rum making companies in Barbados, WIRR provided distillate for many, derived from a very old pot still — the “Rockley still” from Blackrock — and a Dore column still. These days they occasionally resurrect the old pot still, the Dore is long gone, and most of the alcohol they still produce is done on a large multi-column still purchased from Canada — the company is known for the Cockspur, Malibu brands of rum (and Popov vodka, but never mind). As an interesting bit of trivia, they, in partnership with DDL and Diageo, have holdings in Jamaica’s Monymusk and Innswood distilleries. Until recently, my feeling has been that well known Bajan rums as a whole have never risen up to challenge the status quo with quality juice of which I know they’re capable. Those I tried were often too tame, too unadventurous, too complacent, and I rarely found one I could rave over, in spite of critical plaudits received from all quarters (some of FourSquare and Mount Gay rums, for example) …and took quite a bit of scorn for thinking what I did. Oh, most are good rums, competently made and pleasant to drink, I’ll never deny that, and have quite a few in my collection, though I still harbour a dislike for the Prince Myshkyn of rums, the Doorly XO. Yet with some exceptions I just find many of them unexciting: lacking something of that spark, some of that out of the box thinking…the sheer balls that drives other makers to plunge without a backward look into the dark pools of the True Faith’s headwaters. 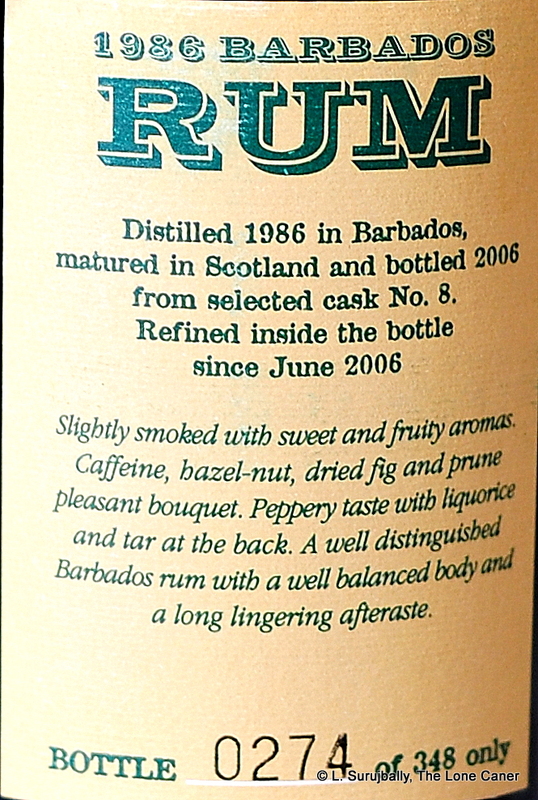 All that whinging aside, very few Bajan rums I found over the years were this old. Twenty years’ tropical ageing takes a hell of a percentage out of the original volume (as much as 75%), which may be why Samaroli bought and aged this stock in Scotland instead – one commentator on the last Samaroli PM I looked at advised me that it was because they pretty much buy their rum stock in the UK, and so save costs by ageing there too. Which would probably find favour with CDI, who also prefer European ageing for its slower, subtler influences on the final spirit. Certainly Samaroli produced a rum from Little England like few others. 45% wasn’t enough to biff me on the hooter, so I swirled and inhaled and then looked with some wonder at the light gold liquid swirling demurely in my glass. The first scents were none of that soft rum, burnt sugar and banana flambe I sometimes associated with the island (based on rums past), but a near-savage attack of paint, phenols, plasticine and turpentine, mixed in with acetone and sweet aldehydes reminding me of my University chem classes (which I hated).To my relief, this all faded away after a few minutes, and the nose developed remarkably well: a burst of sweet red grapes, faint red licorice, delicate flowers, clear cucumbers in water, opening further with light additions of bread and butter and orange rind. Not the best opening act ever, but very original, came together with a bang after a while, and absolutely one to hold one’s interest. The palate was dry, dusty, with fresh sawdust and hay notes mixing it up with that sweetish acetone from before…then it all took a twirl like a ballerina and morphed into a smorgasbord of pale florals, sherry, lebanese green grapes; to my disappointment some of that assertiveness, that I’m-a-rum-so-what’s-your-problem aggro was being lost (this may be a taste thing, but to me it exemplifies some of the shortcomings of non-tropical ageing to one who prefers robust and powerful rums). The taste profile was light and clear and held all the possibilities of greater power, but even the gradually emergent leather and smoke — which melded well with bananas and papayas — seemed unwilling (if not actually unable) to really take their place on the palate with authority. So the nose was intriguing and developed well, the palate just didn’t click. The finish? Oh well now, this was great…come home please, all is forgiven. Long and lasting, a little salty-sweet, furniture polish, wax, peaches and cream, sugary lemon juice and candied oranges, a joyous amalgam of cool, studied stoicism and hot-snot badassery. That I don’t fanatically love this rum is my issue, not yours, and I’ve described as best I could where I thought it fell down for me. There are of course many things that work in it – mouthfeel, texture, and a nose and finish which I know many will like a lot, and I gave it points for daring to go away from the more commonly held perceptions of what a Bajan profile should be. I always liked that about indie bottlers, you see, that sense of wonder and curiosity (“What would happen if I messed with this rum…ran a turbo into it, maybe?” you can almost hear them think, and then go ahead and issue something like the SMWS 3.4 which by the way, also hailed from WIRR), and maybe they’re seeing what Silvio saw when he made this rum. It may not be the best Bajan-styled rum you’ve ever tried, but it may have also shown what was possible when you don’t care that much about styles at all. My thanks and a big hat tip to Richard Seale of FourSquare, who provided me with historical background on WIRR/WIRD. Have you ever been able to compare a rum of the same age and from the same distillery but 1 was aged in the tropics and 1 was aged in Europe? If yes, was there a significant difference? Yes to both questions. But I won’t spoil your personal voyage of discovery, so you’ll forgive me f I don’t detail those differences in this reply.